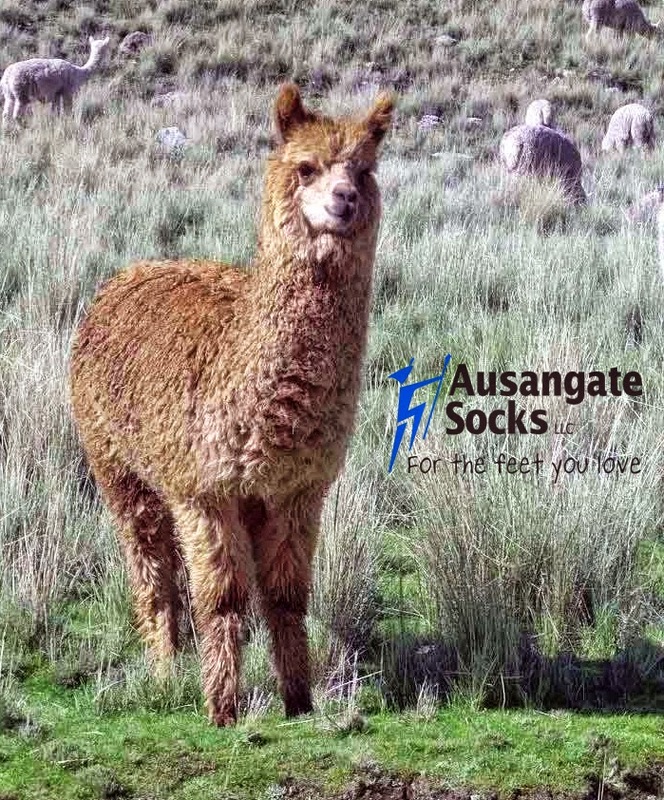 The alpaca is sweet natured, gentle animal that produces a true renewable, Eco-friendly fiber. Apparel and furnishings made from alpaca fiber are a genuine and true environmentally safe fiber choice for consumers. Alpaca fiber is naturally hypoallergenic, naturally odor-free, wicks moisture away and offers unique thermal transfer due to the fact that alpaca fiber is hollow. Alpacas (Vicugna Pacos) are a species of the South American camelid. The earliest evidence of alpaca domestication is from archeological sites from the Puno region of the Peruvian Andes Mountains at heights 13,000 to 14,500 feet above sea level, approximately 6,000 to 7,000 years ago. The very organized ancient Incas of Peru treasured the alpaca fiber and developed the fleece to a very sophisticated level. Only royalty wore the luxurious, delicate, lightweight fiber produced by alpacas. Today, we mere mortals can wear the fiber of the ancient Inca royalty! Adult alpacas stand 32"-39" at the withers and weigh between 105-185 pounds. The alpaca's life span is about 20 years and gestation is about 11.5 months. The cria (pronounced cree-ah) is the name of a baby alpaca. The cria is born surrounded by the entire herd in an attempt to protect it from predators. Alpacas give birth standing up so the cria's life begins with a “flop” to earth. Birth is relatively easy, quick and problem free. It is interesting that birth usually happens between 8:00 AM and noon. Unproven, yet speculated is that alpaca’s give birth in the morning hours in birthing patterns that help increase cria survival rates by reducing fatalities due to hypothermia in the cold Andean nights. Alpacas are considered a precocial species because most crias are up and standing within the first hour of birth and attempting to nurse. At about three months old, the baby alpaca is ready to be a grass-digesting ruminant. Alpaca herds leave a minimal environmental footprint. Alpacas have footpads not hooves that alleviate the compaction of earth, because alpacas are grazers; they trim vegetation, and do not uproot (like a cow) vegetation. In addition, alpacas use community dung piles. The entire herd creates one place for waste, thereby, leaving clean areas for grazing. Each alpaca drinks under a gallon of water daily, thereby; they do not tax the water supply. Next time that you are looking for Earth friendly clothing, consider clothing made with alpaca fiber, a gift to humankind by Mother Nature.